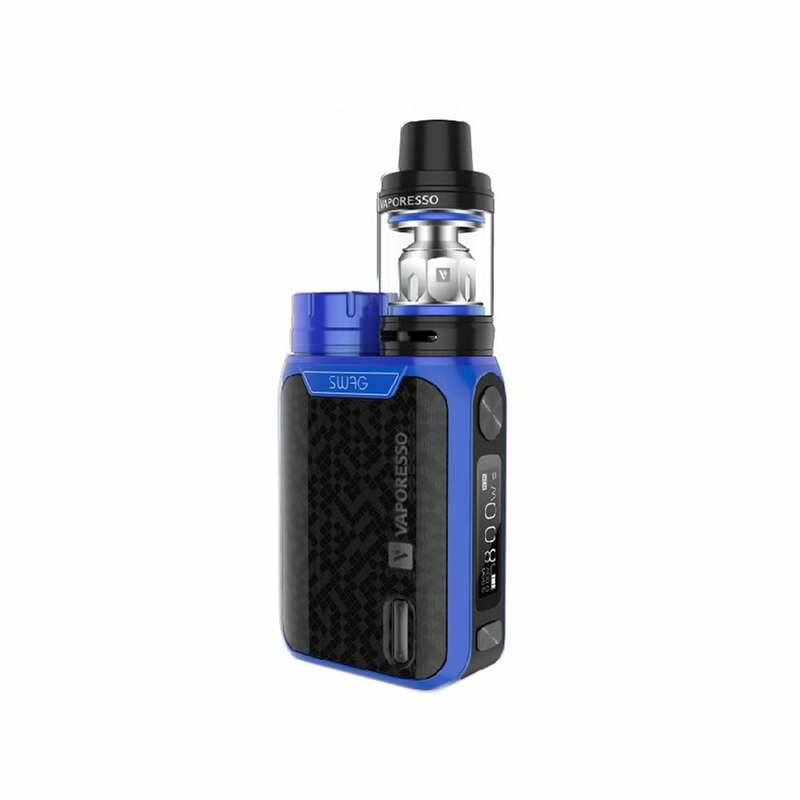 Powered by OMNI Board 2.0 technology, the Vaporesso Swag Kit combines a portable 80 watt box mod with the new NRG Mini Special Edition sub-ohm tank. Measuring approximately 120 x 48 x 25 millimetres - not much more than a deck of cards - when assembled, the Vaporesso Swag is the powerful and pocket-friendly box mod kit you have been searching for. The Vaporesso Swag Kit is a small but mighty sub-ohm setup combining the 80W Swag Mod with the NRG SE Mini Tank for phenomenal flavour and impressive cloud production. When assembled, the Swag Kit has palm-sized dimensions (approximately 120mm x 48mm x 25mm) so it fits perfectly in a pocket, and is built for durability; the Swag Mod’s in-mould labelling (IML) casing offers superior wear resistance to other common finishes such as spray-painting, as well as providing better quality graphics for a striking, premium-quality finish. The mod can output up to 80W of power and is powered by Vaporesso’s upgraded OMNI Board 2.0 chipset. OMNI Board 2.0 is user-friendly and provides outstanding customizability, giving you a choice between 6 different output modes: VW (hard, normal & soft); CCW; CCT; VT (Ni, Ti & SS); TCR (M1 & M2); RTC and Bypass. The 0.91” OLED display gives you even more information at your fingertips than before, including your output settings, an analogue clock and charge time remaining. The Vaporesso Swag Mod features 2A fast charging with USB input protection for your peace of mind and takes one 18650 battery (sold separately). The NRG SE Mini Tank is a reworked version of the NRG Mini Tank, now 22mm wide to fit the Swag Mod perfectly. The NRG SE Mini has a tough stainless steel and Pyrex construction, 2ml e-liquid capacity and can be refilled easily with its twist-open top-fill design. A smooth adjustable airflow ring sits at the bottom of the tank to tweak your draw, while the GT coils provide incredible flavour; Vaporesso believe that this is their most amazing flavour tank yet. The Vaporesso Swag requires one 18650 battery which is sold separately. Click here to view our range of 18650 batteries. Does this product come with a battery? No. Batteries for this product are sold separately - we recommend adding a battery from this range.